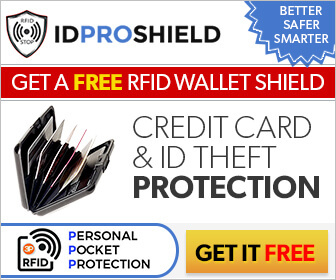 Get a Free RFID Wallet! Criminals are using high-tech card scanners to steal your Credit Card Information. This RFID wallet is specially designed and constructed to block these scanners from stealing your information. Get a Free RFID Wallet today and keep your personal and financial data secure. They just ask that you cover the shipping.